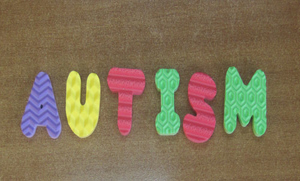 Is my child autistic Dubai: Autism has attracted a remarkable degree of interest and concern from clinicians and researchers alike, more so in recent times. It is a complex neuro-developmental disorder that is behaviorally defined and is usually apparent from early childhood (Tuchman R, 2003, Volkmar, Sher & Cohen 1985). It is characterized by profound deficits in communication and social understanding and by ritualistic and obsessional behavior (Howlin 1998). Wing (1996) postulated that people with autism are alike in that they share the triad of impairments that underlie the condition. The triad emphasizes the fundamentally social nature of the disorder. There is a co-occurrence of impairments in social interaction, social communication, and social imagination, flexible thinking and imaginative play. The syndrome of autism can occur in individuals of all levels of ability and a tremendous range exists in the expression of the disorder. These diverse expressions within and across individuals present particular challenges for assessment and treatment. Family studies point to a range of deficits, in first-degree relatives of autistic children in the following three areas – social dysfunction, communication impairment and stereotyped behavior (Fombonne et al 1997). Wing (1981) used the term’ Autistic Continuum’ and later (Wing 1996) the Autistic Spectrum allowing for a broader definition of autism encountered in the disorder. The use of these terms (continuum and spectrum) emphasized the wide range of social difficulties. The degree of social dysfunction is further complicated by developmental changes within the child. From a withdrawn and isolated toddler, the individual may end up as an ‘ active but odd’ teenager. However, the underlying problem still exists and impacts various aspects of social and learning skills. (Jordan, R. Unit 2, Social & Emotional Needs, 2000). Different levels of cognitive, communication and language abilities further complicate the varying clinical pictures of Autism Spectrum Disorder (ASD). The verbal, bright but socially inept child in mainstream school contrasts markedly with a non-verbal, withdrawn and isolated child who is in a special center. Although an association between cognitive ability and the severity of autism has been indicated (Shah & Wing, 1983), social impairment has been seen to occur in ASD individuals with normal or superior intellectual functioning. A typical Autism, Pervasive Developmental Disorder, PDD NOS, Aspergers Syndrome, Semantic Pragmatic Disorders were the various labels given to the differing pictures of autism spectrum disorders (Wing 1997) but are now under the umbrella of Autism Spectrum Disorders in the DSM 5. Recent studies have yielded prevalence estimates that are much higher than those reported earlier (Bryson 1997, Wing 1993). From 4 to 5 per 10,000 persons (Lotter 1966), the prevalence seems to have increased to 1 per 1000 (Bryson, Clark and Smith 1988, Sugiyama &Abe 1989) to 1 in 131 in Granite Bay California, and 1 in 138 in Kingston UK and 1 in 151 in Brick Township New Jersey USA (Shattock et al 2002). The latest figures by the CDC USA stand at 1 in 68 (2014). Broader criteria used for inclusion, an increasing awareness of its expression in both cognitively impaired and cognitively capable individuals and exhaustive screening of geographically defined populations may be the reasons that have yielded higher prevalence rates (Bryson S.E. 1997). Higher prevalence rates are seen among the male gender compared to female gender (Lotter 1966, Wing and Gould 1979) and among first-generation immigrants (Gillberg et al 1987, Wing 1980). Wing and Gould (1979) also noted that30 percent of the disabled population suffered from autism. If you like what you have seen or read about is my child autistic Dubai, please share it with your friends by clicking on one of the social media buttons below.